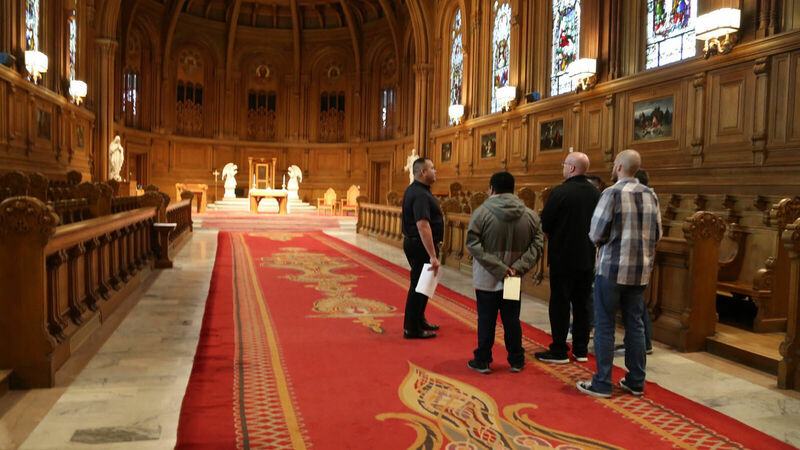 St. Patrick's Seminary in conjunction with its partner dioceses, recently hosted a weekend discernment retreat for priestly vocations. 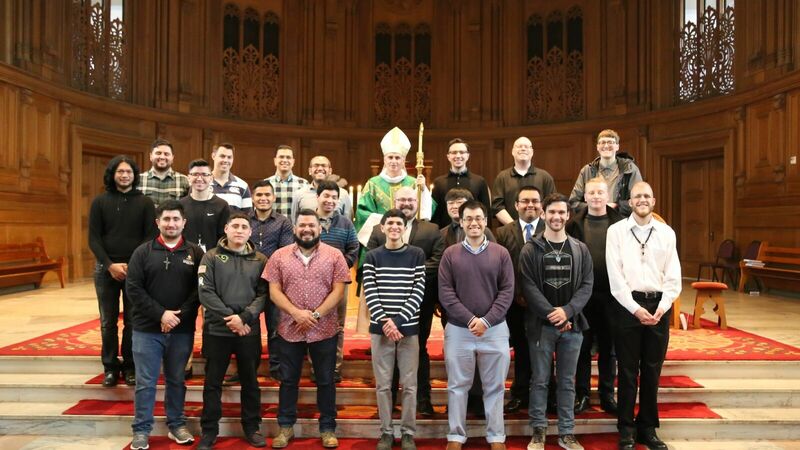 There were almost two dozen participants coming from different places throughout the Archdiocese of San Francisco as well as the Dioceses of Oakland, Portland, Sacramento, Spokane, and Stockton. The weekend retreat provided a quiet and prayerful environment for these men to think and talk about the priestly vocation. Activities included formal conferences, an interactive seminarian panel, small group discussions, and meals with our priests and seminarians. The liturgical activities during the retreat mirrored the daily liturgical life of seminarians, including Lauds and Vespers, Holy Mass, Eucharistic Adoration, and opportunities for Confession. Bishop Thomas A. Daly of the Diocese of Spokane, a St. Patrick's alumnus, was the main speaker for the retreat. He spoke from his experience about the joys and difficulties of the priesthood and encouraged those in attendance to persevere in their discernment despite the current bad news about the priesthood. He skillfully used various Scriptural passages to reflect on the nature of vocations in general with a particular emphasis on Jesus' calling of His disciples. He encouraged persistence in prayerful discernment; however, he also advised the discerners not to be afraid to make a commitment, noting that fear of limiting one's "options" in life often holds us back. During the seminarian panel, current seminarians provided insight into their lives and answered questions. The discerners asked questions about the formation process, the details of affiliation with a diocese, how seminarians come to peace with the discipline of clerical celibacy, and how and when they “know” that the priesthood is right for them. The seminarians' testimonies were among some of the most memorable moments for the discerners. “I will never forget this weekend!" Please pray for these young men as they discern the priesthood and in general for an increase in priestly vocations. We thank the seminarians, our partner vocation directors, and all the people who made the event an outstanding success!